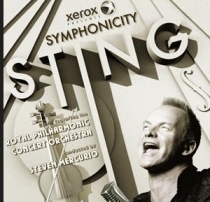 We are pleased to announce Sting, accompanied by the Royal Philharmonic Concert Orchestra will perform in Moscow on September 15. The show will go on public sale on Thursday, July 1. The fan club presale for the Moscow show will proceed in a different manner than usual. If you are interested in purchasing presale tickets for the Moscow date, please contact ticketingultrastar@livenation.com directly and include your Full Name, Shipping Address, Credit Card Info (Name on Credit Card, Credit Card #, Expiration Date, Credit Card Mailing Address), and Number of Tickets Needed. The Royal Philharmonic Concert Orchestra has previously performed with internationally-renowned artists ranging from opera luminaries Andrea Bocelli, Bryn Terfel, RenÃ©e Fleming, Kiri Te Kanawa and the late Luciano Pavarotti to popular cultural icons including Burt Bacharach, George Benson, Michel Legrand, Diana Krall, Tina Turner and Randy Newman. The 45-piece orchestra will be featured on all North American concert dates of the tour.